It’s always cool when a pro spots a complex play that the casters have missed, and crazy RNG moments will always send Twitch chat wild, but nothing delights the Hearthstone crowd quite like a really good misplay. From missed lethals to catastrophic errors of judgement, these are the six moments from competitive Hearthstone in 2015 that had us all collectively FailFishing. Using an Ironbeak owl to silence your own Ragnaros—thereby removing its “Can’t attack” text, and so guaranteeing where the damage goes—is an interaction that gets overlooked by quite a lot of new players. But it’s something that competitive players should spot immediately. Forsen, coming off the back of one of the worst streaks in his career, doesn’t spot the combo in a crucial Pinnacle match, missing lethal in the process. For once, justice was served and Faramir’s Crackle rolled high—much to the delight of everyone except Forsen—punishing in full and taking the game. Forsen being Forsen however, brushed this off quickly and went on to have another incredible year. The only real lasting legacy from this game was the birth of the “Owlsen” meme, giving Twitch chat even more fuel with which to troll “Dad”. In what will become something of a recurring theme, at times nerves just get the better of you. There can be no other possible explanation for Niko the Great’s performance in the top eight of Dreamhack Summer, one of the most prestigious Hearthstone events of the year. After performing spectacularly well in the Swiss portion of the bracket, Niko catastrophically missed out on his opportunity to showcase his skills on the big stage by missing lethal against Chakki not just once, but twice, in the same game—and then made a complete mess of a board clear on a later turn. Chakki, to his credit, while usually famous for his in-game theatrics, saw no need to sprinkle proceedings with any choice emotes, even after it became apparent that Niko was making a total mess of the game. Moments like this can make or break a Hearthstone career, and despite Frodan’s advice to “not check Reddit”, the implications of a performance like this are more severe. Niko’s reputation has still not recovered. This was the sort of match that could easily have catapulted him into the Hearthstone pro scene, but has perhaps instead done irrevocable damage to his reputation. Before Ostkaka made his career defining splash at Blizzcon, he went on another great tear at Seat Story cup. In the quarter finals the obstacle in his way was Ignite. Much like Ostkaka himself, Ignite was a relative unknown, but had a great reputation amongst his fellow pros as a top player. 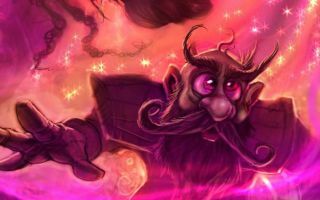 The Hearthstone community settled in to watch what should have been a fantastic exhibition of skill, but the series ended up being decided by a devastating oversight. Artosis applied the commentator’s curse to Ignite in spectacular fashion, opening the game with the claim that Ignite was “just not making mistakes in this tournament”. After such glowing praise, it was inevitable he would go on to make one of the year’s most glaring errors. Ignite, playing Priest, was hugely unfavoured in the matchup against Rogue, but through some good luck had managed to get multiple Loathebs in play and was, uncharacteristically for Priest, pressuring the Rogue out of the game. Thinking he had lethal with Zombie Chow and Auchenai Soulpriest, Ignite cast what he thought was a game-winning Circle of Healing. The forgotten factor here though, was the Velen’s Chosen buff he had in play, which gave him additional Spell Damage which killed the Auchenai, healed Ostkaka, and ultimately snuffed out a very, very sad Ignite. For added laughs, just watch Ostkaka's smirk as he realizes what just happened. Almost as funny is the casters finally catching on. Gaara: "OH THE SPELLPOOOOWER!" 2015 was the year of Grim Patron Warrior, with the deck in its original form—Warsong Commander intact—dominating the competitive scene for months. While many Patron masters showed us the true power of the deck in tournaments, a lot of people simply auto-included it in their lineup without being fully comfortable with its intricacies, resulting in some high comedy misplays. The tournament graveyard is littered with missed Patron lethals, and players blowing up their own Frothing Berserkers with one too many Whirlwinds, but this particular sequence sticks in my mind. Faeli forgets the basic Hearthstone mantra of “always draw first” and thus misses the opportunity to pick up a Warsong Commander. What follows is a sequence of perhaps the worst possible plays available, much to the amusement of Monk and yours truly on commentary. On this occasion, however, justice was not served and Weasel was left wondering whether he forgot to put Consecrations in his deck as he sat helplessly staring at a full board of Patrons with no possible answer. Faeli would go on to pull himself together and pick up a respectable 2nd place at the event, losing only to Hoej who would go on to have a fantastic year himself. Trump vs Jab: bravery or folly? Easily one of the most memorable moments of 2015, this play brought Hearthstone together in one spectacular moment of huge drama. Trump is seen deep in thought during his turn, calculating the various odds of his opponent drawing the one card he needs—Fireball—against his desire to shorten the amount of turns he needed to set up lethal himself. While the line he took is not strictly a misplay, the situation of the game made it incorrect. Trump was aiming to shorten the game and prevent his opponent from being able to get back on the board. However, all of Jab’s big minion threats had already been used, leaving direct damage as his only out in the game. Often the line between a good player and a great player is having the guts to make a play that might lose, in order to set up a win. In this case however, Trump needlessly gave his opponent a chance to win which would not have been available to him any other way. What followed immediately went down in Hearthstone history. Trump was punished not by a top decked Fireball, but by Spellslinger, which gave Jab a random Tracking, which allowed him to search his deck for the lethal burn damage. No other moment this year has quite so perfectly captured the combination of decision making, skill, and randomness that makes Hearthstone so much fun to watch. Most of the time, Hearthstone misplays are amusing. There’s something about the game that satisfies our need for a little schadenfreude every now and again. We take joy in people’s mistakes, and love to see them getting punished by random outcomes. In this case though, it was just heartbreaking. For background, Pavel is a young and immensely talented player from Russia. He’s notorious in the Hearthstone pro scene for holding Rank 1 Legend for enormous periods of time and had previously missed out on several big tournament appearances after grinding through open qualifiers due to Visa issues. Having finally got his big chance at the BlizzCon EU Finals, he was looking good to finally get his big break. In what can only be described as pressure getting the best of him, he sequences his play against Sylvanas incorrectly and the Hearthstone deities decide that today was not his day after all by punishing him in the worst way possible, handing over his 7/7 Dr. Boom to Lifecoach who then has lethal on board. And the crowd goes wild.